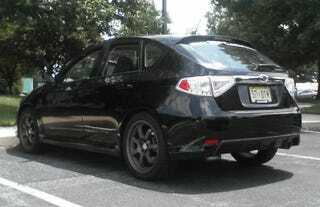 Our buddy Alex was lunching in Lancaster, Pennsylvania — no doubt enjoying a nice Amish shoo-fly pie — when he spotted the same pre-production 2008 Subaru Impreza WRX as had been seen in New Jersey last month. Seems the Subie folks, holed up at their HQ in Cherry Hill, New Jersey, have been taking some day trips to Pennsylvania Dutch country. May we suggest the Good 'N Plenty restaurant? The schnitz and knepp is to die.